Apple jam with almonds and vin santo, is there anything more “Tuscanycious”? This special Apple jam produced by the Fattoria di Arcetri Farm offers a unique tasting experience, presenting an unforgettable aroma and a round, sensual, captivating taste. 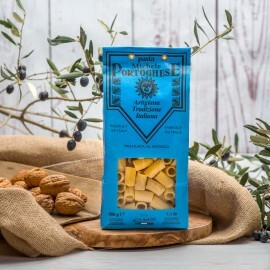 It is made with only 5% cane sugar, in order to maintain the authentic characteristics of the fruit, enhancing the typical flavor of the traditional Tuscan food. Gift yourself a sweet and tasty jam, perfect to combine with toasted bread, cupcakes, yogurt or with a slice of cake. Enjoy a different and genuine dessert! Its crunchy taste, due to the presence of the almonds, make this ingredient perfect with a fresh or aged cheeses plateu, in lunches or dinners. You will find the apple jam, with almonds and vin santo in our Starred box but you can also decide to buy it separately, composing your own customized box. Choose the greediness and freshness of a homemade jam with a genuine taste and typical of a Tuscan product of excellence. 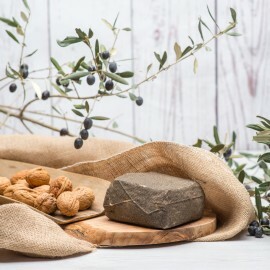 The authentic Tuscan cheese, flavored with pepper, directly online, on the “Il Giulio” e-commerce, a great shopping experience for each lover of the Italian cheese and Tuscan food in general! Its excellence, the Florentine cheese, typically Tuscan, seasoned and ready to be grated on your favorite Italian pastas’s dish. Buy it online and serve it on your table, surprising your guests, everyone will love the idea to put some cheese on the “mezze maniche” with the Tuscan tomato sauce! 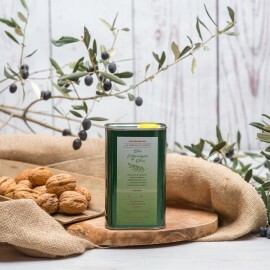 The “Italian Gold”, the Italian olive oil, the extra virgin olive oil produced by the Fattoria di Arcetri, one of the most famous traditional Italian food, an authentic symbol of the ancient story of the Medici family, a prestigious mark on every table of the most important restaurants in the entire Italy. The Zolfini beans from the Fattoria di Arcetri farm, definitely the best Tuscan delicacy, one of the most famous traditional Tuscan food, characterized by an intense flavor, by the thin “skin” and the high digestibility. The Tuscan cowpeas produced by the Fattoria di Arcetri Farm are a delicious traditional tuscan food, authentic Italian beans with a curious name (“fagioli dall’occhio”, or literally “beans with an eye”) describing their appearance. Have you ever taste the Tondini beans? They are a Tuscan delicacy, characterized by a delicate flavor and thin skin. If you are a lover of the traditional tuscan food you will surely fall in love with this gourmet ingredient. Let us introduce the Florentine and Tuscan chickpeas, what’s more traditional? 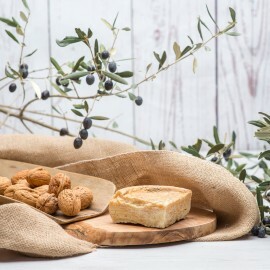 If you are a lover of the traditional Tuscan food, if you definitely appreciate the Italian culinary culture, you won’t just can’t get enough of these specialties. The French Honeysuckle honey made by the Giovanni Viviani Farm, the excellent Tuscan honey, is a golden seal of all our specialties. Its taste is sweet and very delicate, despite being one of the lowest in the calorie count, enhancing also many benefits and unique nutritional properties. Italian chestnut honey, a typical Tuscan traditional food which can be produced only above 400 meters in height, among the Tuscan Apennine mountains, where since the ancient times the chestnut trees characterized the woods with their trunks and fruits. 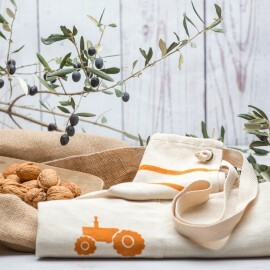 Italian walnuts, harvested by the Fattoria di Arcetri in the heart of Tuscany, near San Martino alla Palma, a traditional Italian food and one of those Tuscan specialties capable of revealing the atmosphere of the famous countryside. 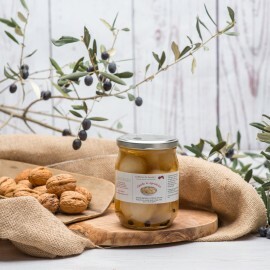 The Tuscan onions marmalade is an authentic ingredient of traditional appetizers, it’s one of the most famous Tuscan food. Did you ever order in a restaurant the “antipasto toscano” (“Tuscan starter”)? The sweet and sour onions, just savor them, it’s may be the better way to describe the Tuscan people. The traditional food of Tuscany can reveal many characteristics of the Tuscan lifestyle. 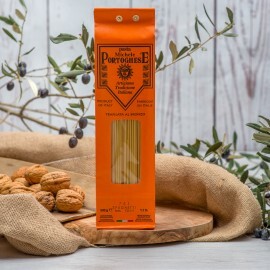 The best spaghetti ever, the Tuscan spaghetti, made by Michele Portoghese, the symbol of the typical Tuscan pasta, excellent to be mixed with your favorite sauces, from the tomato (pomodoro) one, to the “garlic and oil” (aglio e olio), “cacio e pepe” or with our traditional meat sauce. Fusilli, the Tuscan Fusilli made by Michele Portoghese. Let us introduce you the Fusilli, a variety of pasta formed into corkscrew or helical shapes, an Italian traditional food reaching its top together with pesto, spinach and ricotta, garlic and olive oil, meatball, mushrooms, zucchini and carbonara or tomato, basil and mozzarella (caprese). 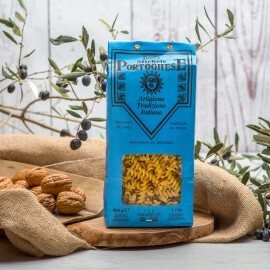 The Mezze Maniche are a Tuscan pasta, a “must” during summer, a traditional food you can enjoy with simple sauces, based on fresh, genuine local and “farm to table” products. 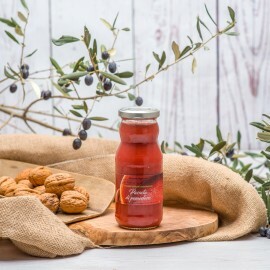 The artisanal Italian tomato sauce, produced for 70% with the Tuscan variety of tomatoes “Florentine Costoluto” (and 30% SanMarzano), from the Fattoria di Arcetri, located upon the hills of Tuscany, the place where people always looked to the stars. The chilli pepper mustard is may be not so famous among the Tuscan specialties, but if, during your holidays, you had the opportunity to discover the authentic Tuscany and its people, you will surely remember how much “spicy" we are! 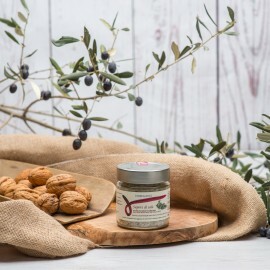 Italian barbecue salt, an essential ingredient for an outdoor lunch in summer, ideal for a fascinating grilled with your friends, evocating the pure Tuscan lifestyle. 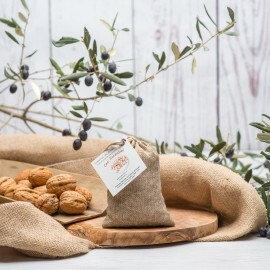 The Italian sea salt, a natural ingredient from the most beautiful Tuscan beaches and sea locations, it’s may be the most genuine and original traditional Tuscan food, discover the “gourmet” sea salt. 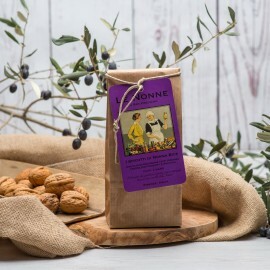 The excellent Italian and obviously florentine cookies, if Tuscans were biscuits, perhaps they would look like the Nonne di San Frediano, Grandma Rina Cookies, made with extra virgin olive oil and vin santo. 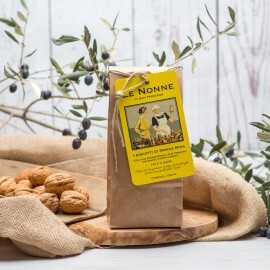 Experience the sweet taste of the Tuscan biscuits Le Nonne di San Frediano! The recipe of the Nonna Ada biscotti (cookies) exalts the flavors of cocoa and dark chocolate, composing this type of Florentine biscuits, perfect as an happy elegant ending to every meal. 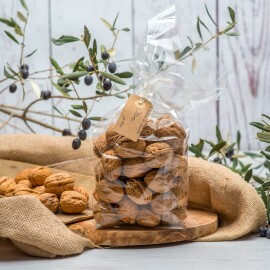 The most famous Italian cookies, the best Tuscan biscuits and true gourmet delights! The Nonna Bice, Grandma Bice, biscuits with crushed hazelnuts and chocolate are produced by the Nonne di San Frediano shop. Looking for a low sugar apricot jam for your dessert? 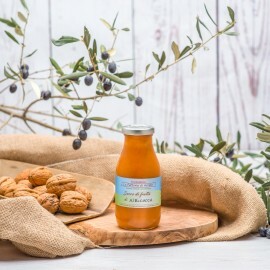 Gift yourself the best Tuscan apricot jam, a traditional Tuscan food perfect to be served with (grilled) cheese, carrots, cupcakes, cookies and also as a different dressing for your favorite desserts’ recipes. The peach jam from the Fattoria di Arcetri farm stands out from all the others jams because it is made with only a little bit of sugar cane, to enhance the sincere taste of the Florentine specialties. Enjoy this pear jam, perfect to eat with Tuscan cheese, a delicacy representing the top traditional food, the authentic exaltation of the Tuscan specialties. The strawberry jam, is there anything more greedy? The Tuscan specialties and the traditional tuscan food can be sweet while being genuine: the Arcetri Farm produces its strawberry jam following an ancient family recipe, which presents only a very little bit of cane sugar, in order to enhance the simple taste of the strawberry. The Apricot Juice, a smart, simple and genuine delicacy among the Tuscan specialties! A traditional Tuscan food which is a sincere hymn to the happy days when you were a child, an intense and natural flavor, just like the home-made juice. 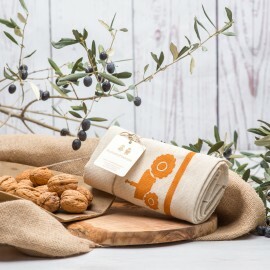 Furoshiki is more than just a dry, it is a typical cloth wrap (of Japanese origin) perfect for transporting or containing the Tuscan specialties: imagine going outside and heading to the vegetable garden, collecting some traditional Tuscan food inside the furoshiki, your fresh and genuine gourmet delights ready to be cooked.